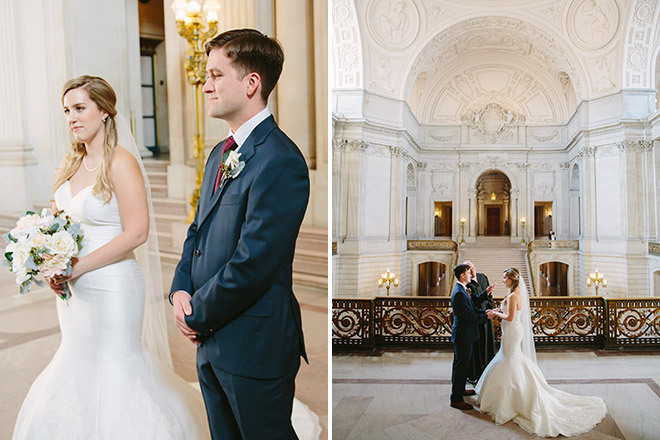 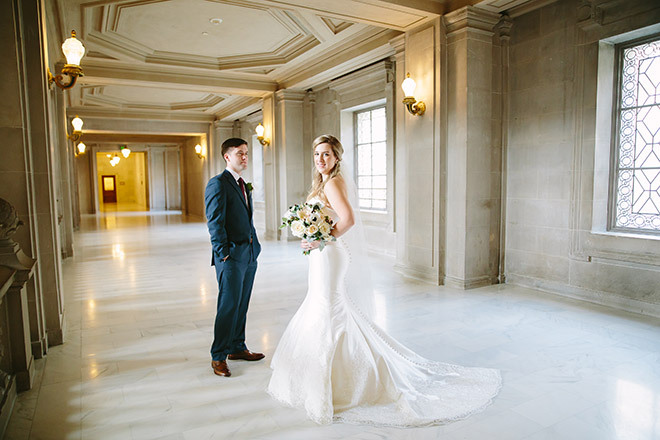 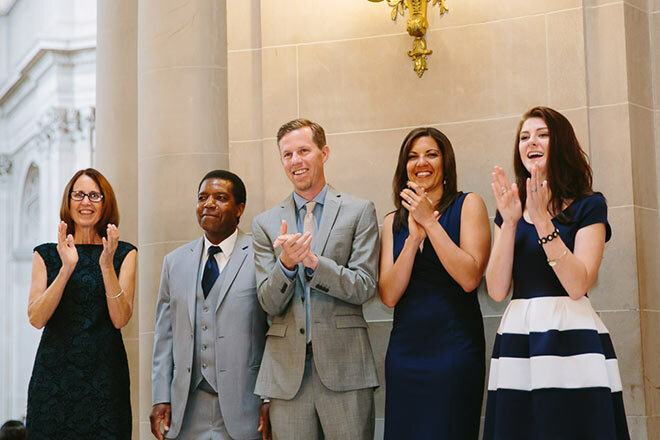 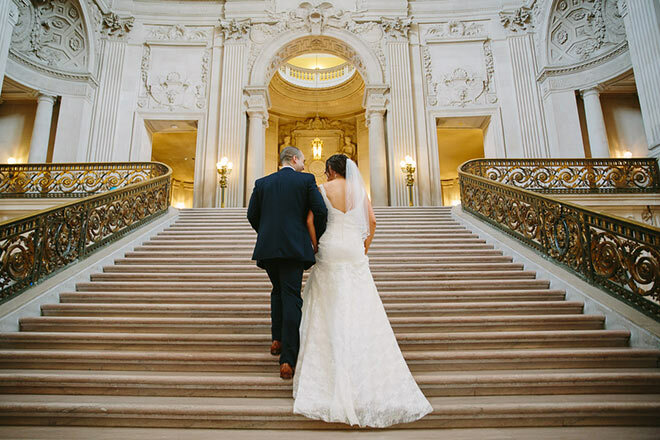 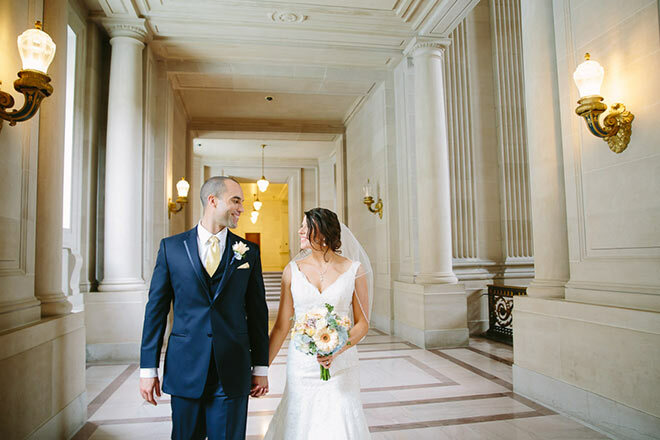 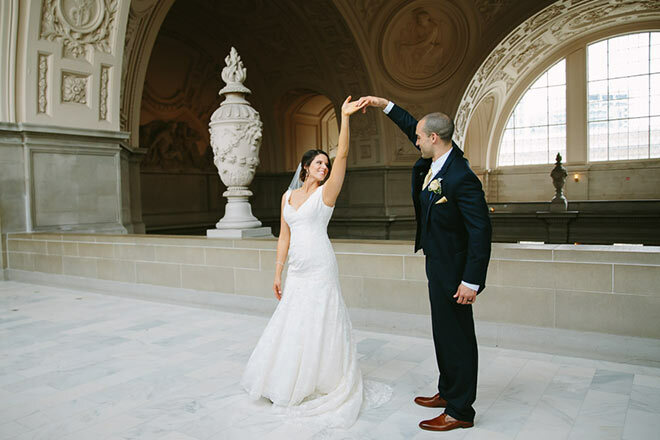 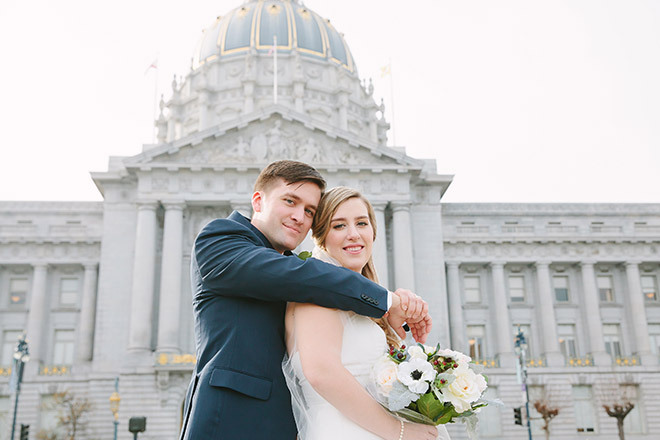 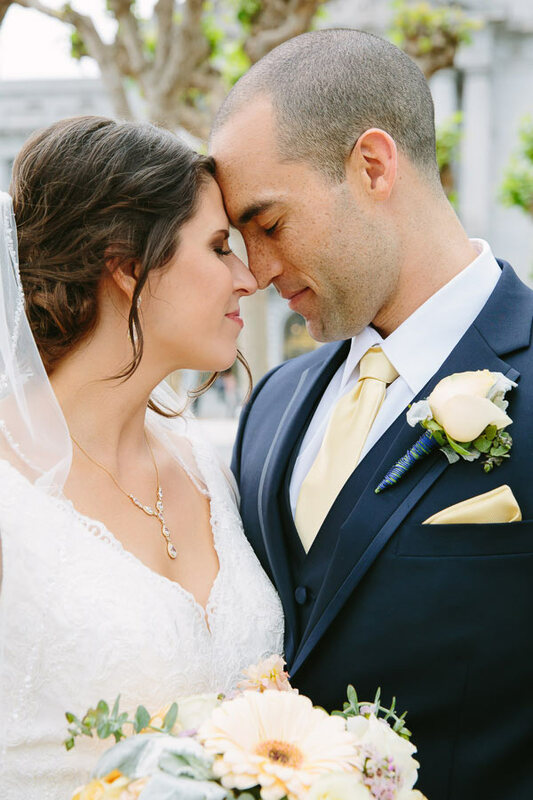 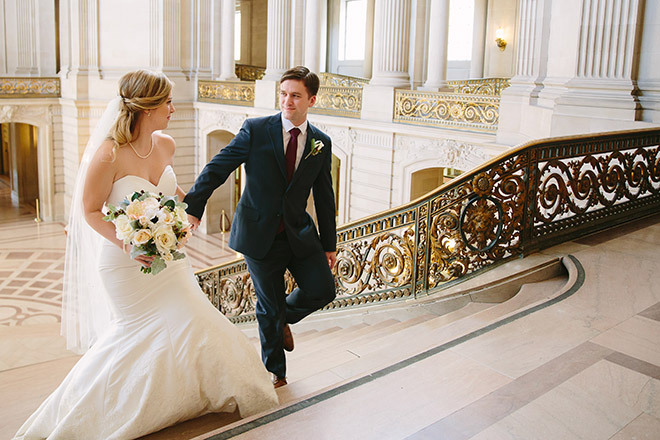 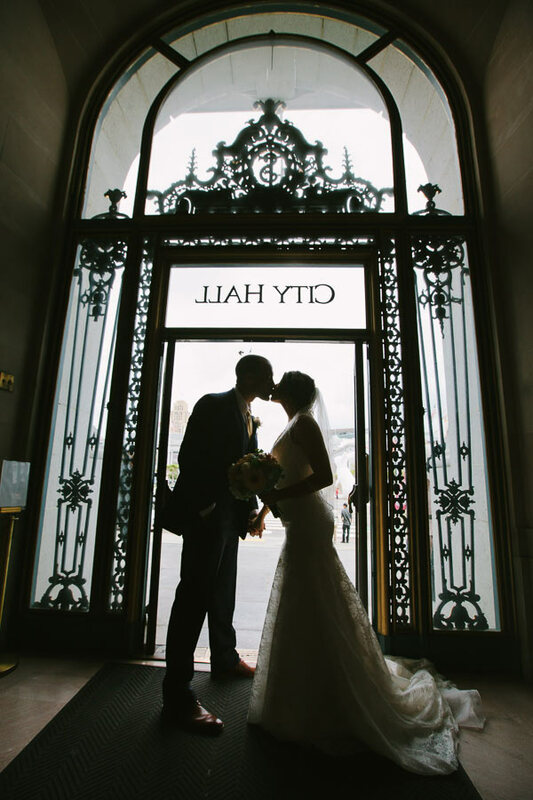 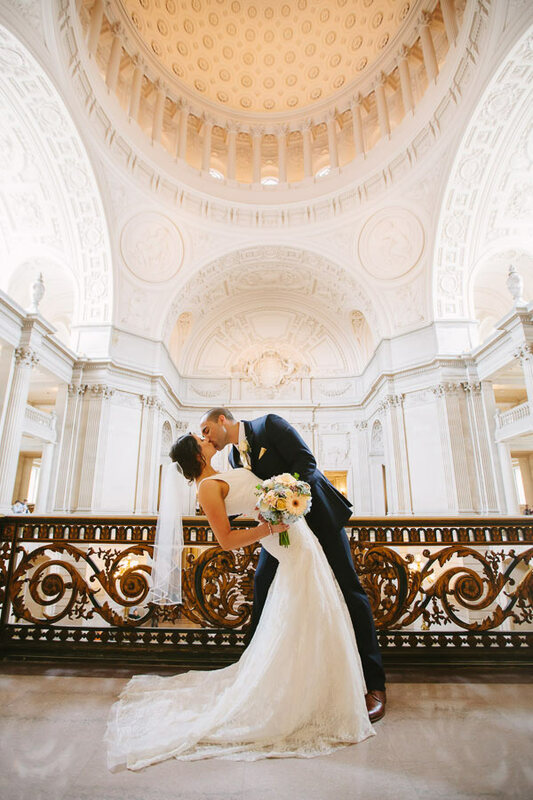 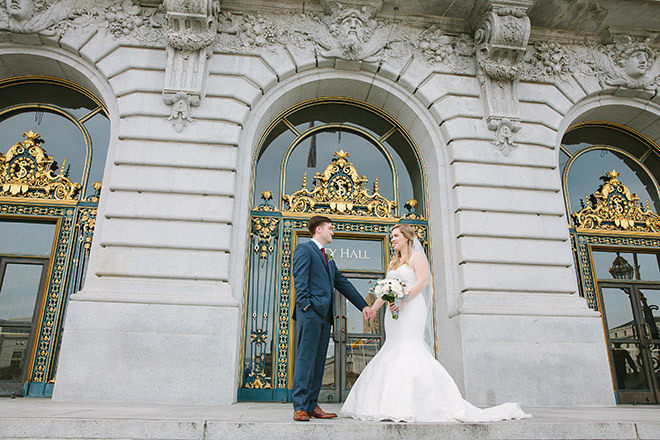 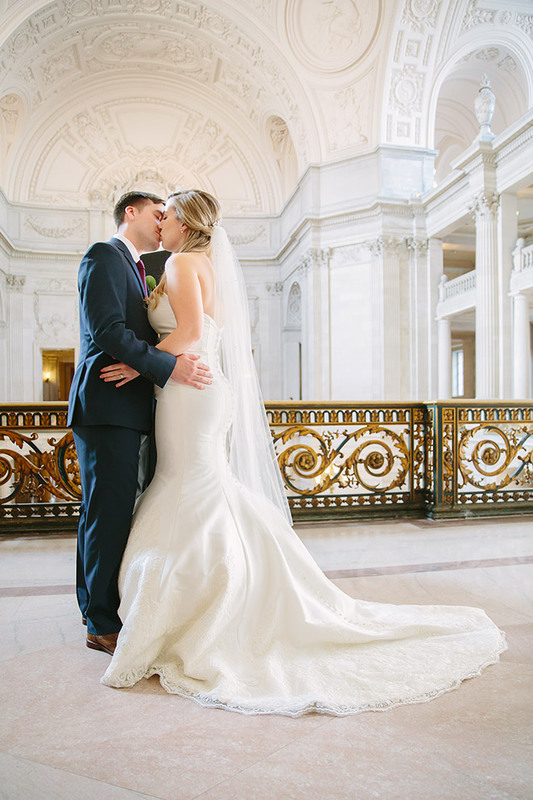 I wanted to share Erica and Austin’s San Francisco City Hall wedding photos. 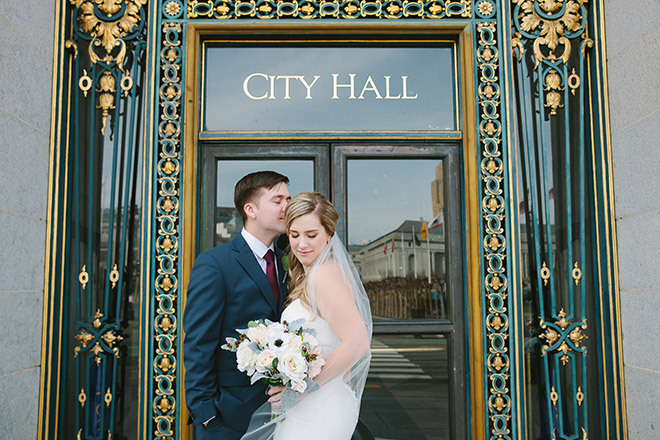 They had a wonderfully intimate wedding at City Hall with their family and friends. 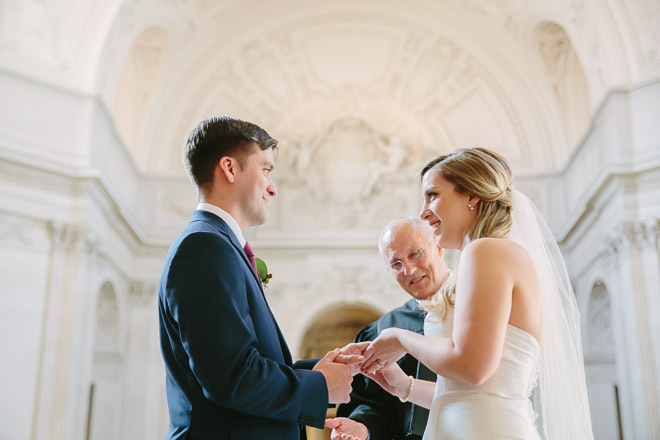 I loved capturing all of the moments from the ceremony to the exit. 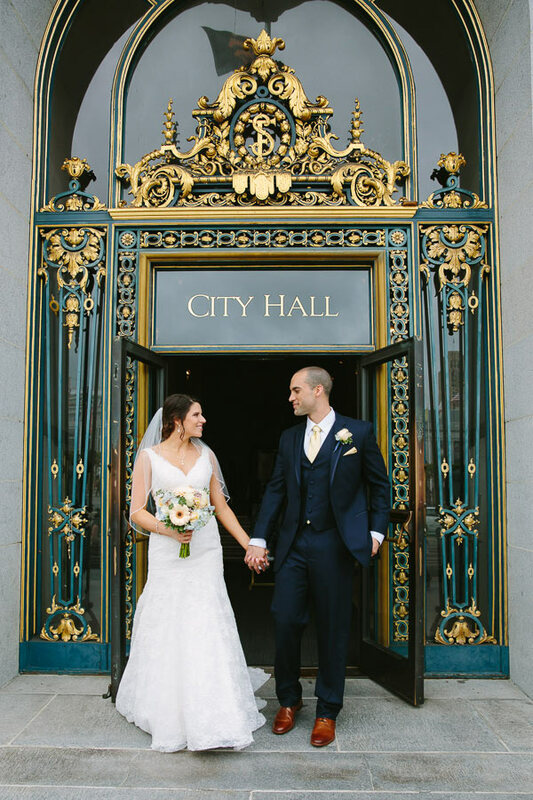 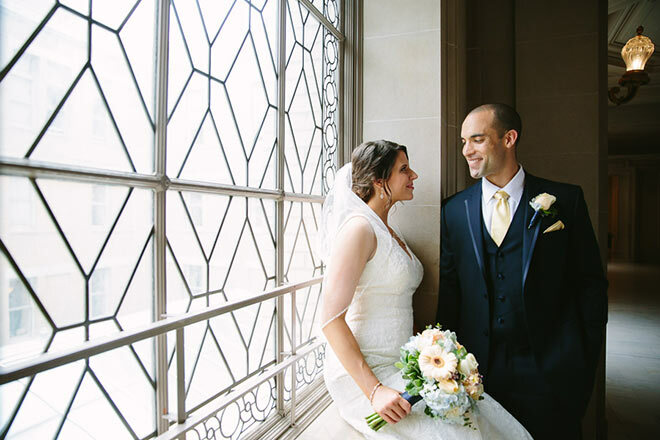 We started with the happy couple walking up the Grand Staircase inside City Hall on the way to their ceremony. 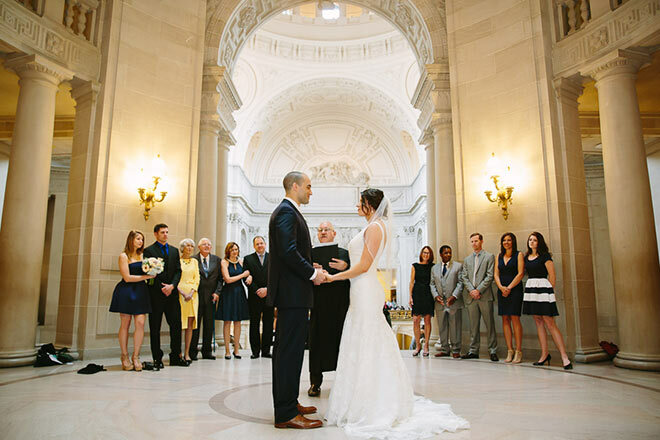 The ceremony took place in the Rotunda. 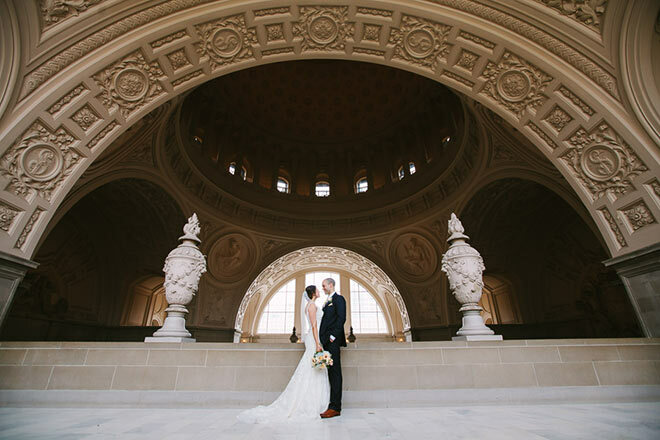 While the ceremony is quite brief, it is very meaningful and symbolic. 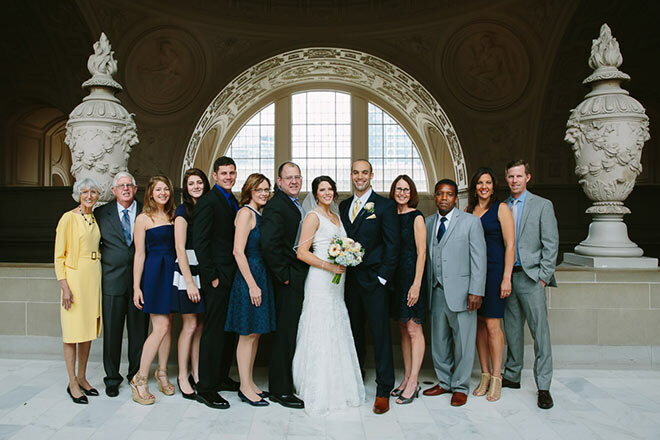 All of Erica and Austin’s guests wore a coordinated navy blue color palette. 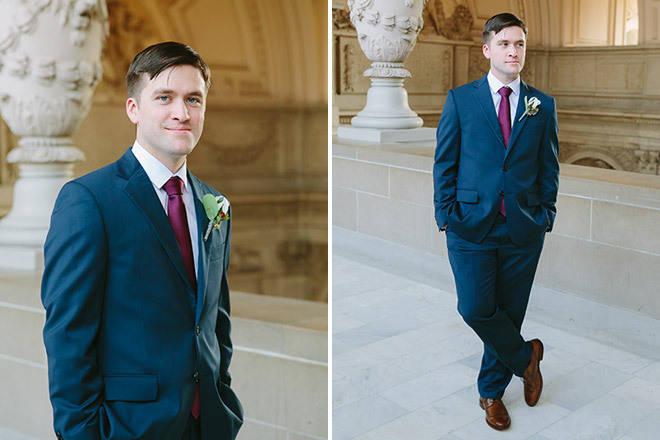 Some of the male guests wore light grey suits. 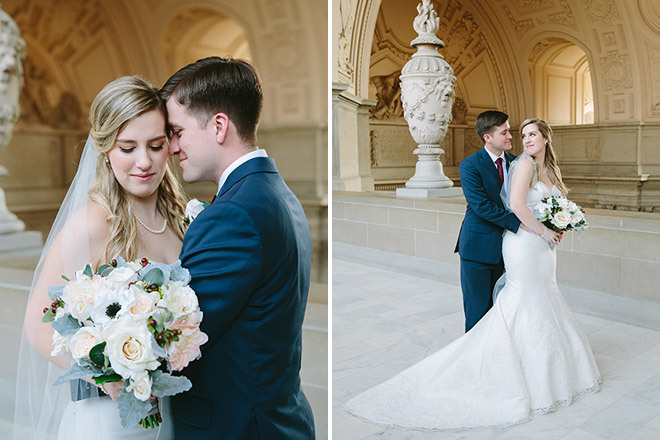 I adored their classic and timeless style. 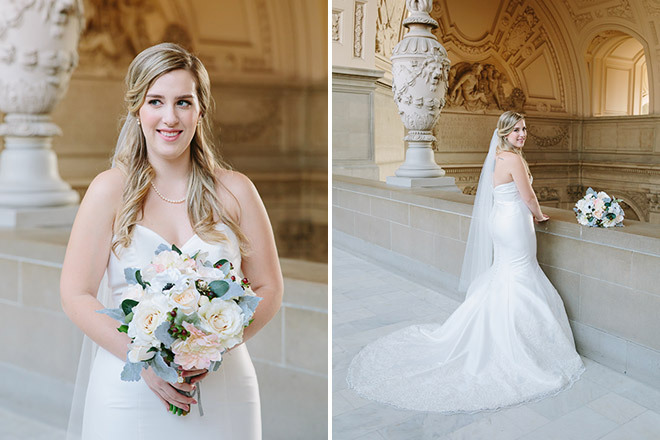 Erica’s bridal bouquet featured a wonderful selection of spring flowers. 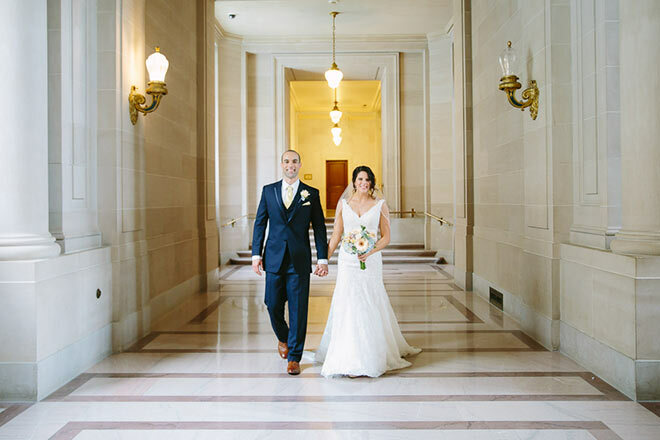 The color palette was wonderfully eclectic with pale yellow and pastel colors. 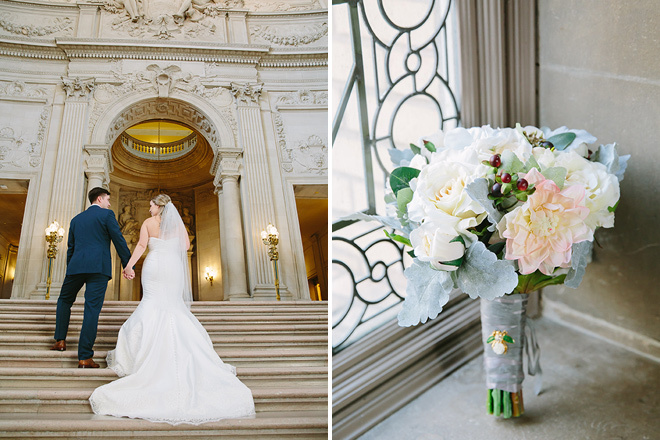 The contrast with the gerber daisies and hydrangeas was wonderful. 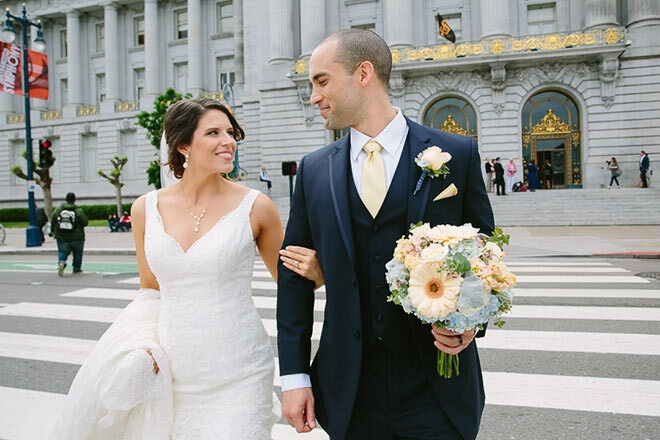 Austin wore a pale yellow tie and pocket square to contrast with his blue, slim fit custom made suit with brown shoes. 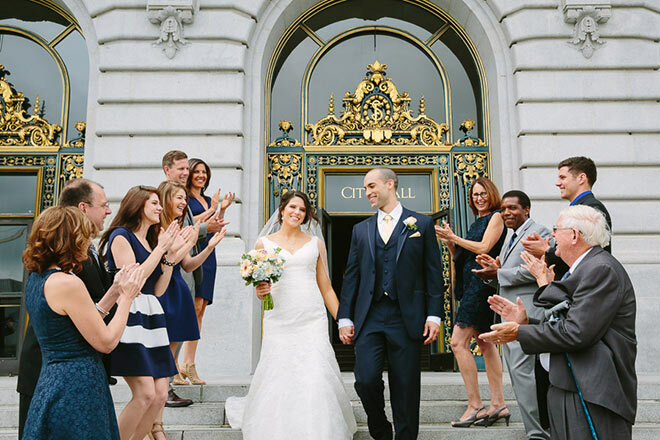 When Erica and Austin were leaving City Hall, I organized their family members together for a fun exit on the front steps of City Hall. 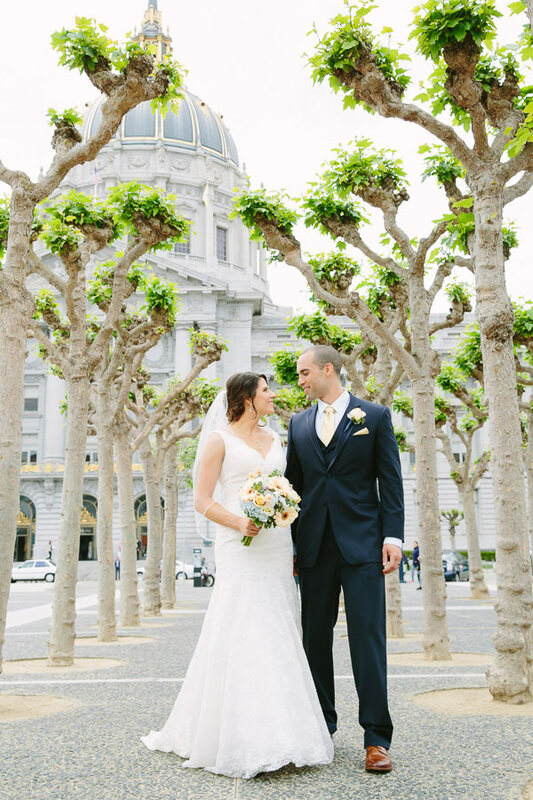 We also took photos in the Civic Center plaza. 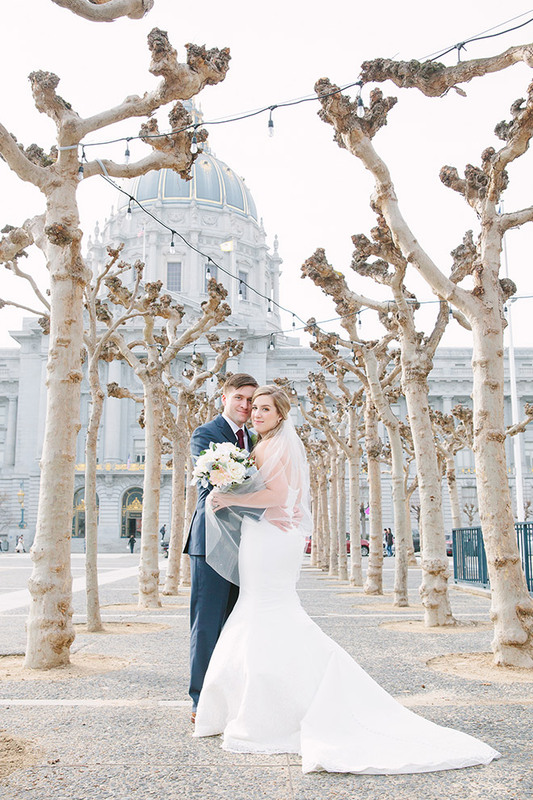 The plaza features the most beautiful sycamore trees which are unique to San Francisco. 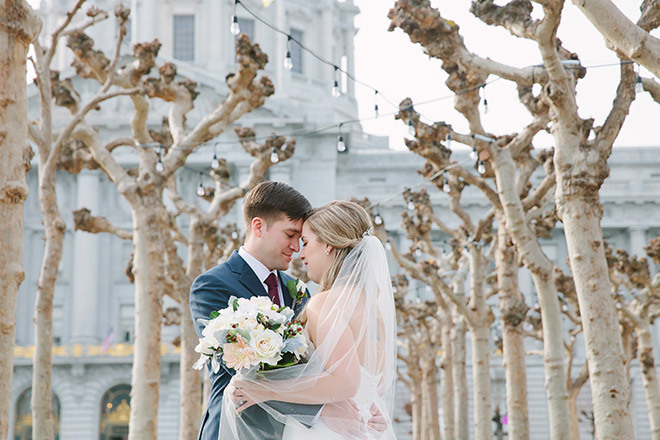 Congrats to Erica and Austin!